For sixteen-year-old Jane, life is a mystery she despairs of ever mastering. She and her friends are the idle, pampered children of the privileged class, living in luxury on an Earth remade by natural disaster. 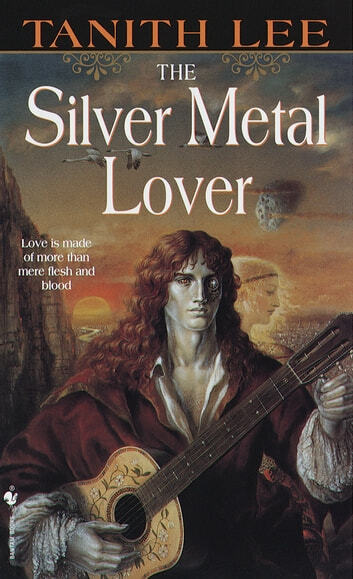 Until Jane's life is changed forever by a chance encounter with a robot minstrel with auburn hair and silver skin, whose songs ignite in her a desperate and inexplicable passion. Jane is certain that Silver is more than just a machine built to please. And she will give up everything to prove it. So she escapes into the city's violent, decaying slums to embrace a love bordering on madness. Or is it something more? Has Jane glimpsed in Silver something no one else has dared to see—not even the robot or his creators? A love so perfect it must be destroyed, for no human could ever compete?